The heavy rainfall has taken over a toll in Tamil Nadu. What has been called the worst rains in a century; it has crippled Chennai and parts of Tamil Nadu and has largely affected the daily routines and transportation of the city. • 12839 Howrah-Chennai Mail leaving Howrah . • 12841 Howrah-Chennai Coromandal Express leaving Howrah on 04.12.15 (tomorrow). • 12663 Howrah-Tiruchchirapalli Express leaving Howrah . • 13351 Dhanbad-Alappuzha Express leaving Dhanbad . • 18189 Tatanagar-Rourkela-Alappuzha Link Express leaving Tatanagar. • 15930 Dibrugarh – Chennai Egmore Weekly Express scheduled to arrive Chennai Egmore at 20.15 hrs of today will be terminated at Gummidipundi. 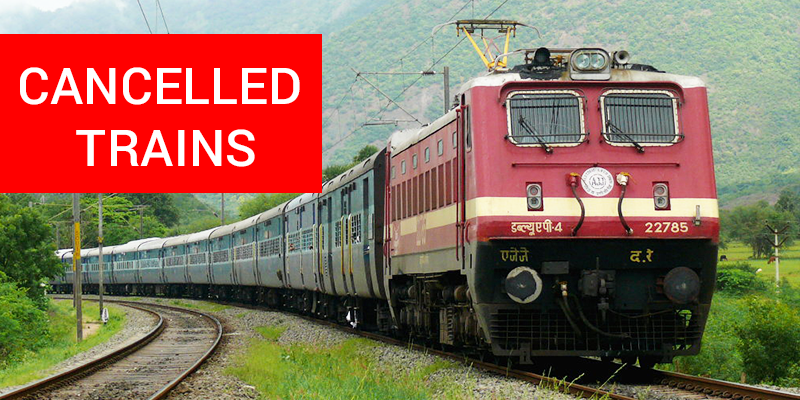 • 12687 Madurai – Dehradun Superfast Express scheduled to leave Madurai at 23.45 hrs today will leave Madurai at 05.00 hrs today and diverted via Katpadi, Melpakam, Renigunta &Gudur. With possibly more disruptions to follow due to predicted heavy showers in the coming days, kindly plan your trips and accordingly.